We now carry a large collection of Used European Antique Violins, Violas and Bows, these are properly and formerly certified for insurance purposes and valuation. So you can buy them with confidence. Please visit them on this page. 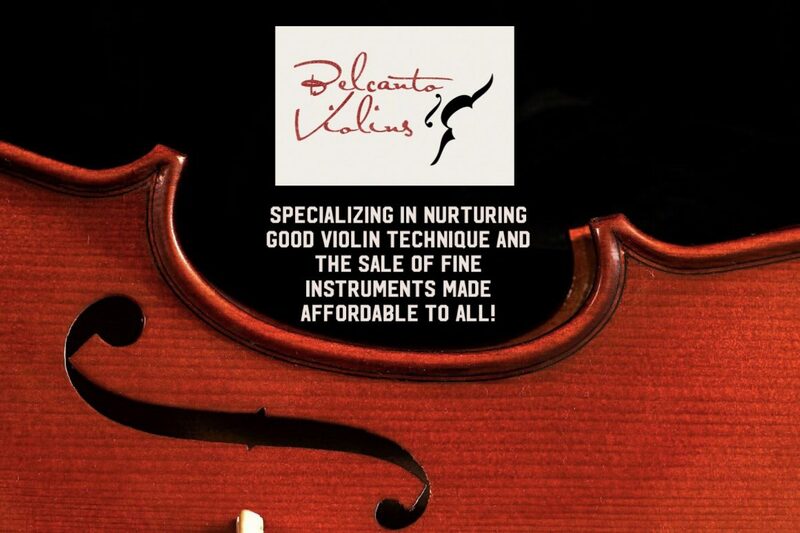 At Belcanto Violins, we have a handmade violin for any level of learning or professional needs you have. As all Violins are unique made of natural wood, you would expect some differences to the catalogue of violins photographed. But be rest assured that the quality of every violin within the different ranges are quality checked for perfection. And would play and sing with the crisp resonant Belcanto tone as our Violins are at least partially handmade even at the most basic BV1001 model. We are currently only an online store, for violins we can only take instrument orders, for bows and professional series Violins, you can come and try out the models at our studio by prior appointment. We also supply Violins in bulk to various places in the world. Do contact us to find out more if you are interested in purchasing our instruments in bulk. *all four fine tuners are available for all our models complimentary. Do let us know if you’d like to have all of them installed upon order. ** Models are available all violin sizes 1/16, 1/10, 1/8, 1/4, 1/2, 3/4, 7/8 and 4/4,please enquire to check availability. Comes with triangular case with BVB1001 bow or equivalent and rosin. Strings are workshop fitted. fine/wide maple back. Sweet tone color. Only available sometimes. Refined and matte finished, tone is crisp and resonant. Beautiful maple back and well finished. Tone is sweet and resonant. Comes with triangular case with BVB2003 bow or equivalent and rosin. Fitted with Belcanto Violins Premium Strings. Comes with rectangular case with BVB2003 bow or equivalent and rosin. Fitted with Belcanto Violins Premium strings. Comes with an oblong case with BVB2003 bow or equivalent and rosin. Fitted with Pirastro Tonica Strings/Dominant Strings. Recently launched, this is our most popular model for a student who is looking for a mid range priced violin, for an elegant and powerful sound not needing to exceed a $1,000 budget. Our Professional Range Violins come in sizes 1/8 to 7/8 and 4/4 full size and are fitted with Pirastro/Thomastik brand Strings (grades will be higher than Tonica or Dominant equivalents) note that these strings are complimentary and incur no extra charges and carefully selected to match the violin by our technicians and luthiers at our workshop. Each violin comes with an Oblong lightweight case with a rosin, BVB3005 or BVB3007 bow. (Four fine tuners are given complimentary upon request) Upgrades are available for the cases to our carbon fibre style cases. All full size Professional Range Violins are available for your trying before purchase at our Studio Gallery. Please contact us to make an appointment. Best value for this range. Sound is powerful with adequate resonance and clarity. Birds eye maple wood on back, neck and scroll. Extremely beautifully sourced wood and rare quality. Sound is piercing but melodious and sweet. Would recommend for a player who would like a different violin from the rest, yet not compromising on a good robust sound. This range is very powerful, it has a beautiful prominent singing voice for sure, for anyone in an advanced learning stage or anyone wanting to have a beautifully finished instrument. Definitely superb professional quality. This model is made by our workshop’s senior maker with aged European wood, you can expect the sound in this model to be rich, crisp and powerful and also responsive dynamically and emotionally. Aged European Quality Wood, Powerful, sweet, dynamics are focused, very wide ranged and controlled easy playability and sensitive to pick up on your creativity with your work. Definitely a joy to partner with. Aged quality European Wood. Master maker with fine craftsmanship. Sound is wide ranged and dynamic. Possesses great sweetness, power, clarity and control.